Going to a cooking class at Grace-Marie’s Kitchen at Bristol Farms in Manhattan Beach is like going home to dinner with your family and friends. Most of the people know each other from previous classes and if you are new, Grace-Marie tells everyone around you to talk to you and make you feel at home. Which they do. 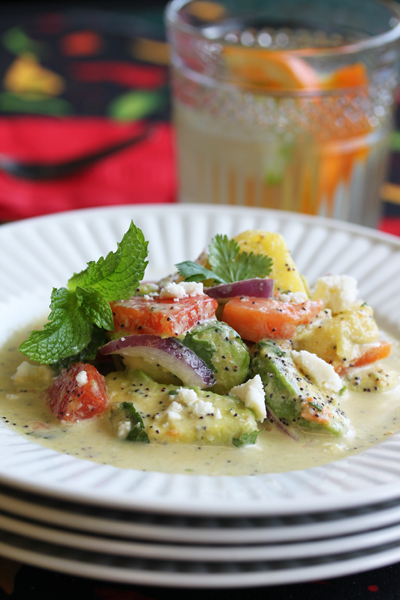 This salad, with papaya, avocado and pineapple, was part of the Cinco de Mayo class I attended and photographed. It is sweet and lush, and the poppy seeds give it an extra little dimension. I think you could use mango instead of papaya, and kiwi would work in this salad also. This would also be a great accompaniment to any grilled chicken or seafood on your summer menu. 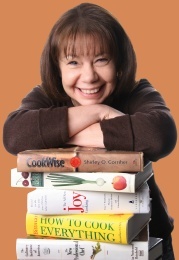 For additional recipes, click on Grace-Marie’s Kitchen under Catagories in the right column. 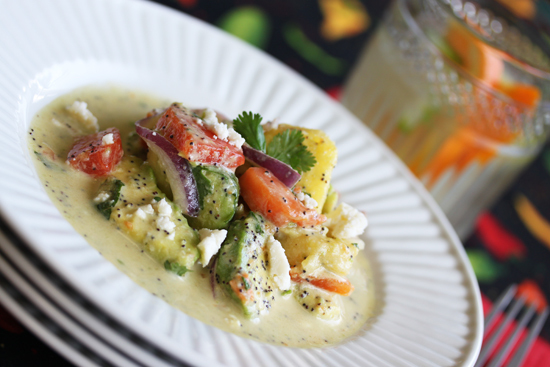 Using a blender, combine the oil, lime juice, honey, shallots, poppy seeds, jalapeno, mustard and cumin. Process until smooth. Season with salt and pepper to taste. 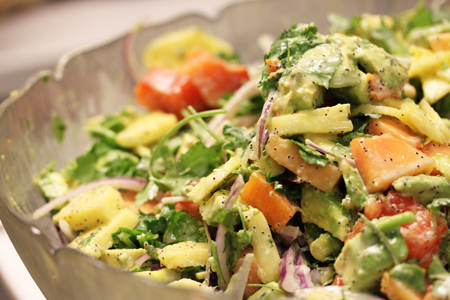 As you prepare the pineapple, papaya, avocado, red onion, cilantro and mint, layer each into a salad bowl. Toss gently with the vinaigrette. Serve family style or individual plates garnished with the cheese. Thanks so much for stopping by my blog and for your sweet comment! I have to say, I really love yours as well. 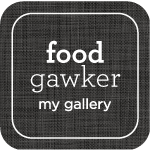 Your photos are amazing the food looks delicious. I wish I lived in CA so I could attend one of these classes! This salad looks delicious. I would not have thought to put jalapeno or cumin in a fruit salad, but I am quite intrigued! Lovely as always. Would have never thought of stacking those plates like that. Brilliant! 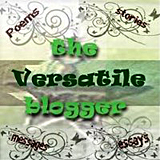 This is my first visit to your blog and this looks amazing!!! Thank you so much for sharing the recipe. Perfect for a dinner on the deck! Hi. I made this wonderful salad tonight. We stayed in for Valentines day. I served pan seared sea scallops and the avacado fruit salad. I stopped at a locally bakery to get a slice of triple layered white wedding cake for everyone. What a nice dinner. Everyone loved the fruit salad. Thanks again. Grace Marie has a talent in marrying flavors.